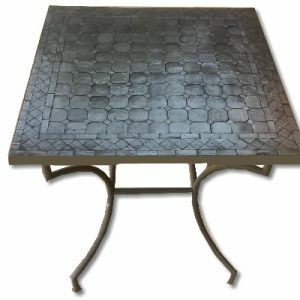 Moroccan Mosaic Bistro Table. Moroccan Mosaic Bistro Table with andalusian tile work. Can Be Used In Door Out Door And Can Set 2 To 8 Peoples. With Wrought Iron Stand Include.